Maysoun Ibrahim (third from right) at the Grace Hopper Celebration for Women in Computing. 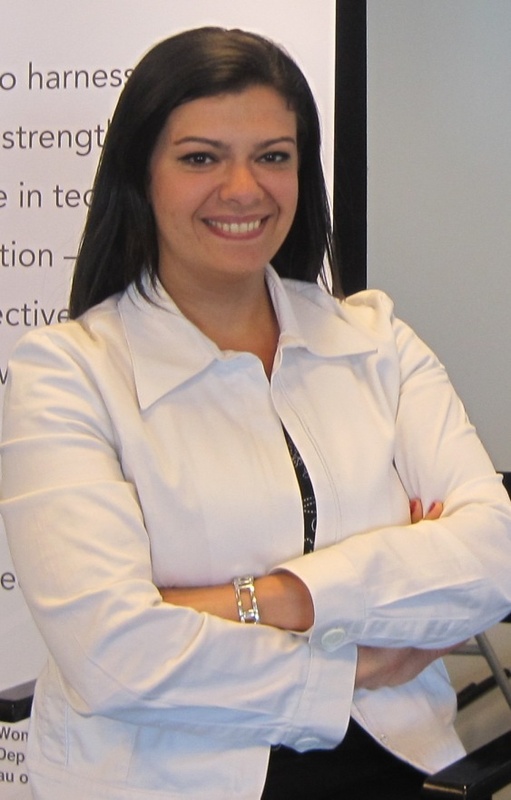 Maysoun won a TechWomen Change Agent Scholarship to return to the US for the conference. I am happy to be given the opportunity to address you and share my thoughts with you. As a Techwomen 2011 alumna, I want you to know that your participation in this program will empower you in different ways and help you make the first few steps towards your future.